Once upon a time my husband liked his dress shirts heavily starched. Because my husband wears dress shirts at least six out of seven days every week, I stocked up on quite a bit of spray starch. Then one day he decided that heavy starch wasn't the way to go, leaving me with a lot mor spray starch than I knew what to do with. I am going to have to give these DIY window decorations a shot. If nothing else, they will be a good use of my stach stash. And the girls will love making them, which is good because we would have to have window decorations for every holiday for a few years to use up all the starch. 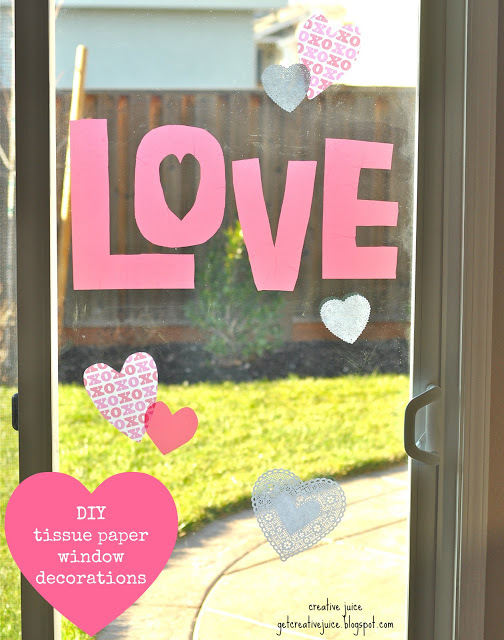 You can check out how to make your own DIY tissue paper window decorations over at Craft-O-Maniac.